You have added those pastels brilliantly Sylvie...what a fabulous backdrop. Do I need to buy some of those? PS You were quick today! Absolutely stunning Sylvie - loving the colours especially - must get some Pan Pastels been waiting long enough !!! Gorgeous card . The background is stunning I must see self hou panpastel works. This is such a great card.. love you little artwork transported in this simple sketch! FAMOUS! 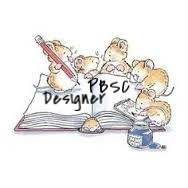 I've never heard of Pan Pastels, Sylvie, but you've used them so beautifully that I might need to look into them! Gorgeous card! Gorgeous card, Sylvie...those pastels look fabulous. Lovely card and great colours this pastels look interesting!! you should be please, sylvie!! it is just beautiful! totally beautiful the card. The background is stunning. Oh yes, I love the panpastels, too! Lovely and stunning background, beautiful card! GORGEOUS card and a glorious combination of colours - I've been pondering Pan Pastels for ages but they're quite expensive, gotta put them on my birthday list! 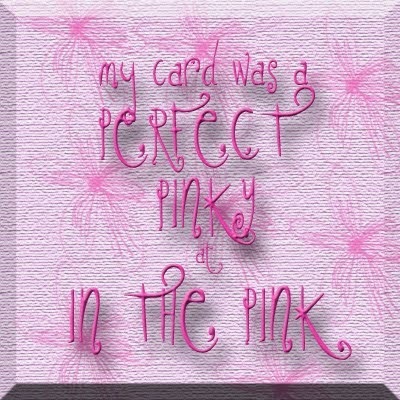 Hi Sylvie what a gorgeous background you made, love your card no wonder you're pleased! a lovely colourful fabulous card! Lovely coloring and elegant card! Lovely pan pastel background. I keep telling myself I don't need them (but I know I do). Hi sylvie love your card .... Fantastic.Pan pastels are what i have been using at my craft classes at the craft shop .I have got a good collection of colours now. This is so beautiful Sylvie! I love the colours of the pastels you've used and the silhouette stamp is lovely. Gorgeous art work and that is really what it is - art! Our weather here in the mountains of Western North Carolina has been cold and rainy. sunny today but still chilly. I love following your blog Sylvie! Beautiful! Love the background colours and that stamp! Awesome card Sylvie. Love the colours and the pastels are gorgeous! 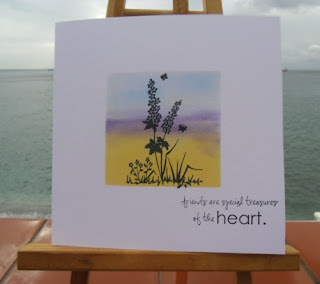 Love your silhouette stamping on a gorgeous , colourful background! What a peaceful card. Beautiful colouring in the background. Simply fab Sylvie... do I need to buy these??? Of course I do! What a beautiful background! I love it! Love the little scene you created. Fabulous card Sylvie your colours are gorgeous. I`m trying to ignore the pan pastels `cos I`ve just spent a fortune on other stuff but they keep reeling me in, lol. Wow, your card is stunning. I love PanPastels too. Beautiful card ! I love the background and your image.. really great ! Glorious background and a great card. Think I need to get some of those pastels what a beautiful backdrop for you image really love the sentiment too. Wow, love your touch of nature! Great work. Thanx for stopping by my blog. 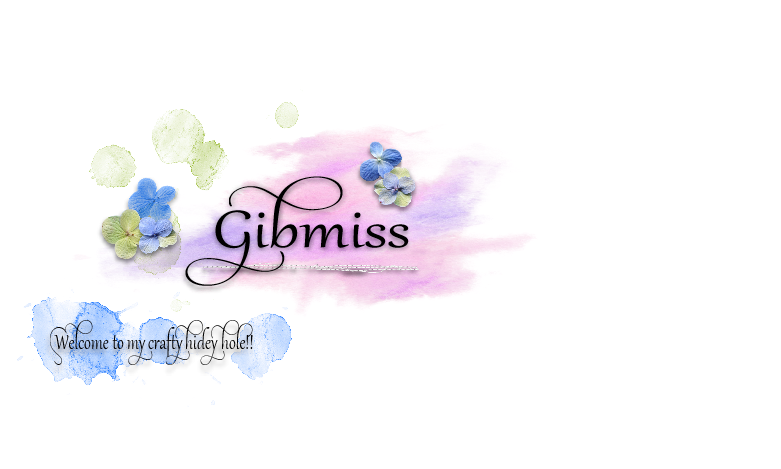 Great background for your silhouette stamp, and lovely sentiment. Fabulous card Sylvie, love the background for the flowers and a great sentiment. Hi Sylvie, what a lovely lovely card! So beautiful i hope i one day i can make a card like this. I'll be following your blog.